Our worship experience is one of joyous celebration. We seek to celebrate and discover how God is with us and how God gives our lives meaning and direction. As individuals and as a community of faith, we try to discern how God invites us to live. Hospitality Time – 10:00 a.m. 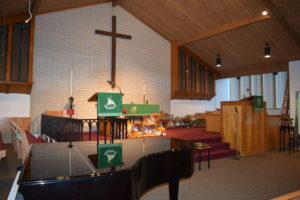 In the summer, worship is at 9:30 a.m. and there is no Sunday School. Check our events calendar for up-to-date information about special services! We invite people of all ages who have been baptized to participate in Communion. We believe the Lord’s Supper is the sacred meal of the family of God which feeds, nourishes, and strengthens us and that Christ’s presence in Holy Communion is a spiritual mystery, engaging people of all ages on many levels. Communion is usually celebrated the first Sunday of the Month, Maundy Thursday, Easter and Christmas Eve. Currently, our congregation enjoys the musical gifts of our choir, led by Michael Huffman. 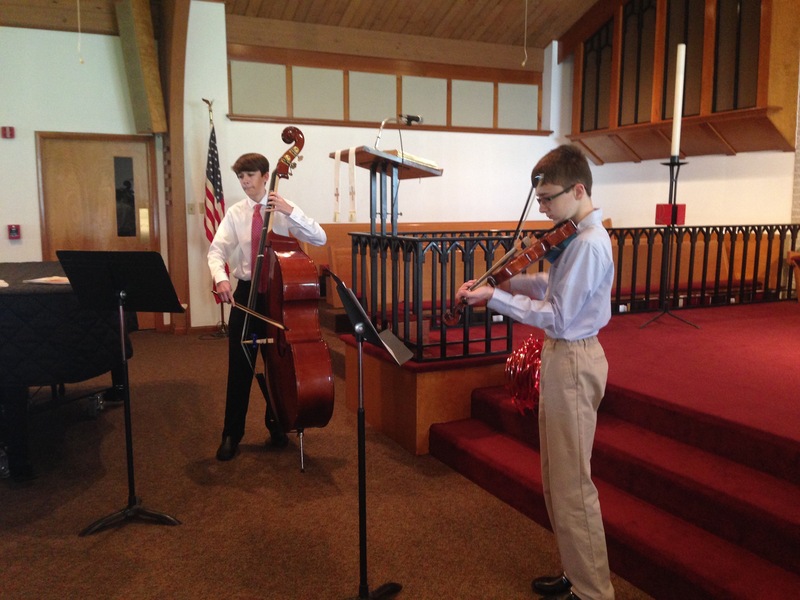 There are also opportunities for friends, members, and guests to offer instrumental or vocal solos and special music.